TKTS Discount Booths offer tickets to Broadway and Off-Broadway musicals and plays at up to 50% off. With dozens of productions on sale every day, theres something for everyone! TKTS is the place to go if you're looking for a Broadway deal. There is a separate line (typically no wait) if you're not in a very Sondheim mood and would rather see a play. 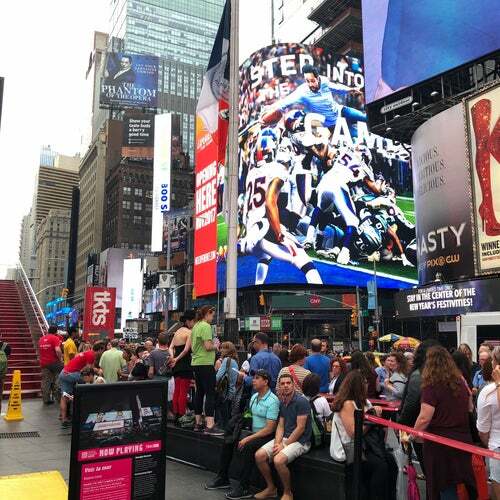 Look for the big red steps in Times Square!